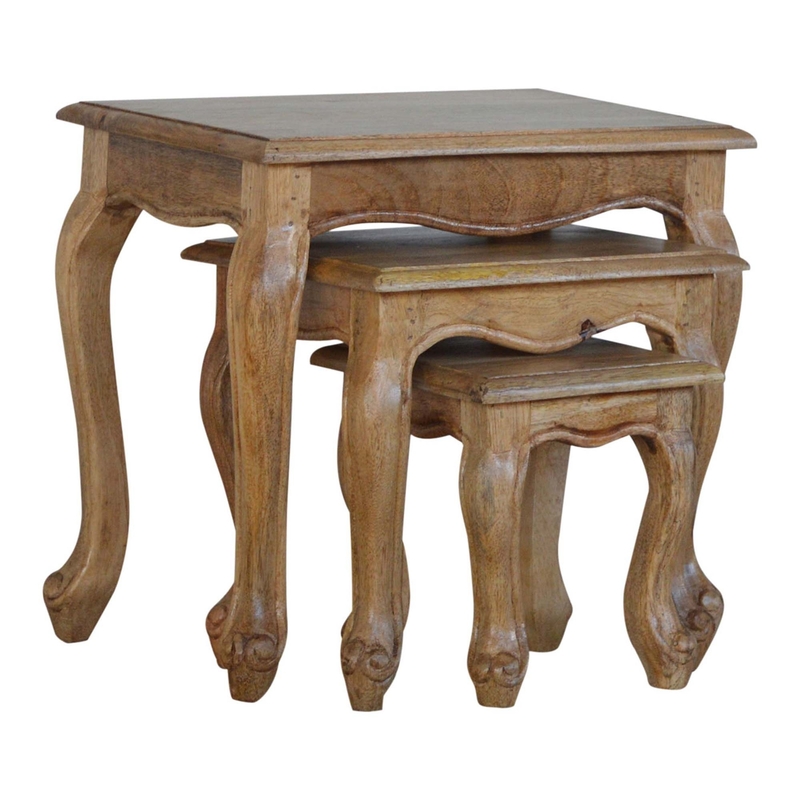 This set of 3 nesting tables have been expertly crafted from mango wood and is the perfect purchase for anyone who is looking for some extra table top space for their home accessories in the style of French inspired design as you can see by there wonderful curves and bends. Due to their brilliant design, these versatile nest of tables can also be used as extra seating in your home, their compact size also means they can be tucked away into a small space when they are not in use. Each table has been hand distressed giving each set a unique look, and combined with their beautiful oak effect finish makes this set a truly beautiful addition to any home.